E.T. 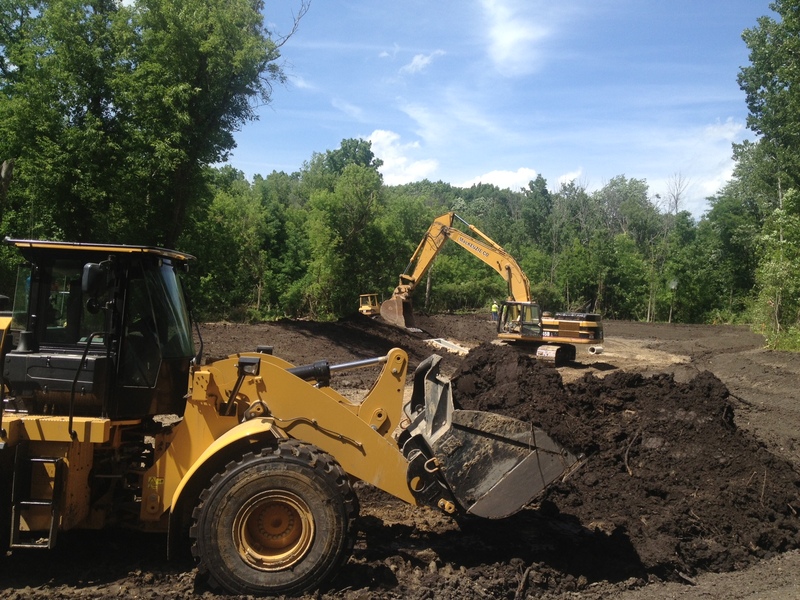 MacKenzie Co is finishing excavation at the detention basin located at the corner of Richard and Hamilton Streets and is in the process of top soiling and restoring the site. Excavation and maintenance on the detention basin located behind Family Video is also slated to potentially start in the upcoming week. The mainline storm sewer pipe work will start along Richard Street. The pipe begins at the detention basin and will extend east along Richard Street. This work will require the contractor to close Richard Street to through traffic but access for local landowners will remain open at all times. Mailboxes along the side of the road will be removed by the contractor and left for the landowner to preserve. A temporary community mailbox will be installed on Auburn Avenue just north of Richard Street. Neighbors in the area should continue to expect to see large equipment moving in and out of the site along Richard, Dean, and Auburn Streets. Neighbors should also anticipate minor traffic delays while driving past the construction activity. As with all construction projects this timeframe is subject to weather and any other unforeseen delays. Moving ahead of the main construction activities, E.T. 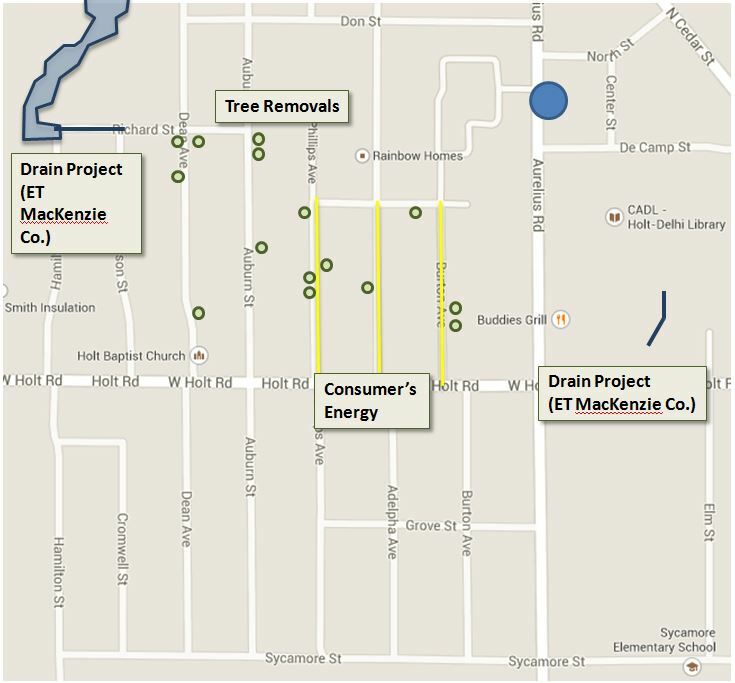 MacKenzie is working with Smith Tree and Landscape to remove the trees necessary to perform the drain work. You may see these crews throughout the neighborhood working to stay ahead of the main construction activities. E.T. MacKenzie Co. is also working on storm sewer repairs located on the east side of the Holt Shopping Center. Consumers Energy is continuing to relocate their gas mains ahead of the drain project. They have completed the work on Phillips Avenue. They are currently working on Adelpha, locations along Holt Road, and portions of Kathy Kourt, and Burton.